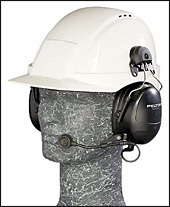 Peltor's MT series 2-way communication headsets are specifically designed for industrial users in high noise environments. 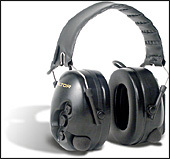 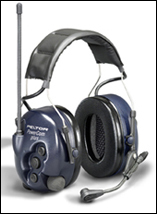 Peltor's Hearplug 2-way headset is designed for radio users in high noise environments that require a lightweight headset solution with hearing protection. 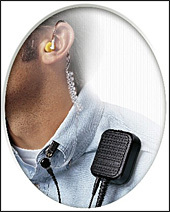 Peltor's Hearplug listen-only earpiece is designed for 2-way radio users who must have clear reception of incoming transmissions while working in high noise areas. 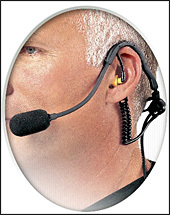 The TACTICALPro has been designed with a unique frequency response that amplifies signals, voices, and warning sirens while at the same time instantaneously suppressing dangerous impulse noises. 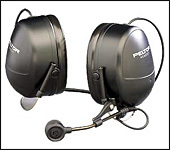 The Peltor PowerCom PLUS wireless 2-way communication headsets are the ultimate choice for industrial users in high noise environments where clear, crisp 2-way communication is essential. 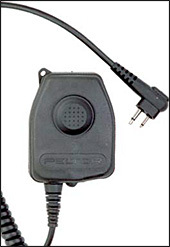 Peltor has a large selection of radio push-to-talk (PTT) adaptors to work with your existing or new radio systems.